X-Series Bite Blocks fit thinner sensors such as Apex Dental Sensors, XDR, Original Schick, Progeny, Quickray, Dentimax & Dent-X. 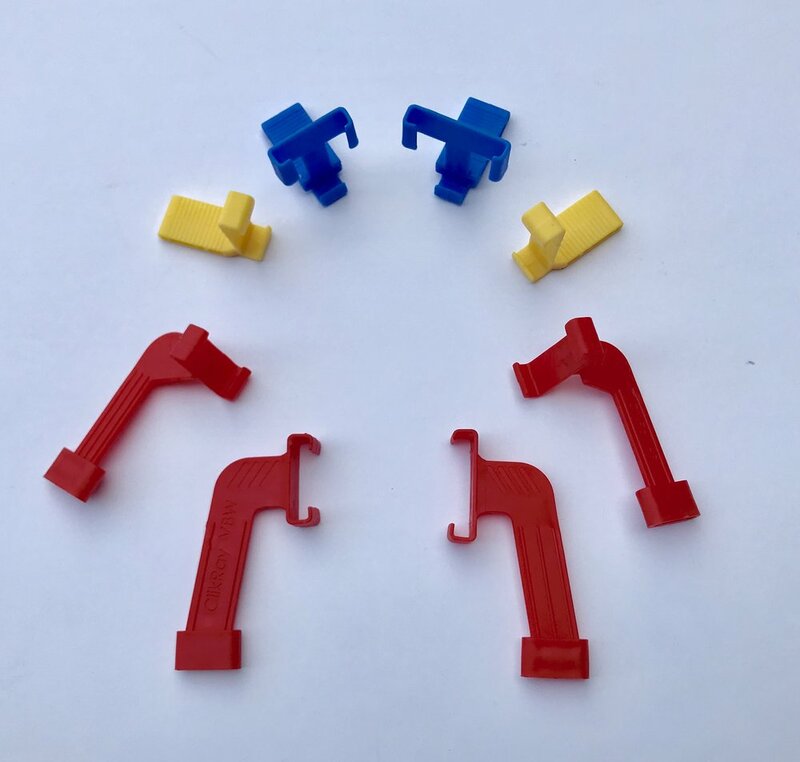 Precise Fit holders are available in size 2 blue holders and size 1 yellow holders. ClikRay™ X-Series bite blocks are colored according to their sizes so choosing the appropriate sized holder is easy. No more confusion! Fits the ClikStik™, ShaRing™ along with ring and rod systems from other manufacturers. Z-Series Bite Blocks fit sensors such as Carestream RVG, Schick Elite/33, Kodak. Precise Fit holders are available in size 2 purple holders and size 1 rose holders. ClikRay™ Z-Series bite blocks are colored according to their sizes so choosing the appropriate sized holder is easy. No more confusion! D-Series Bite Blocks fit sensors such as DEXIS Classic, Platinum, Titanium, FS Ergo, Jazz and Gendex Size 2. Universal Bite Blocks fit all digital sensors. 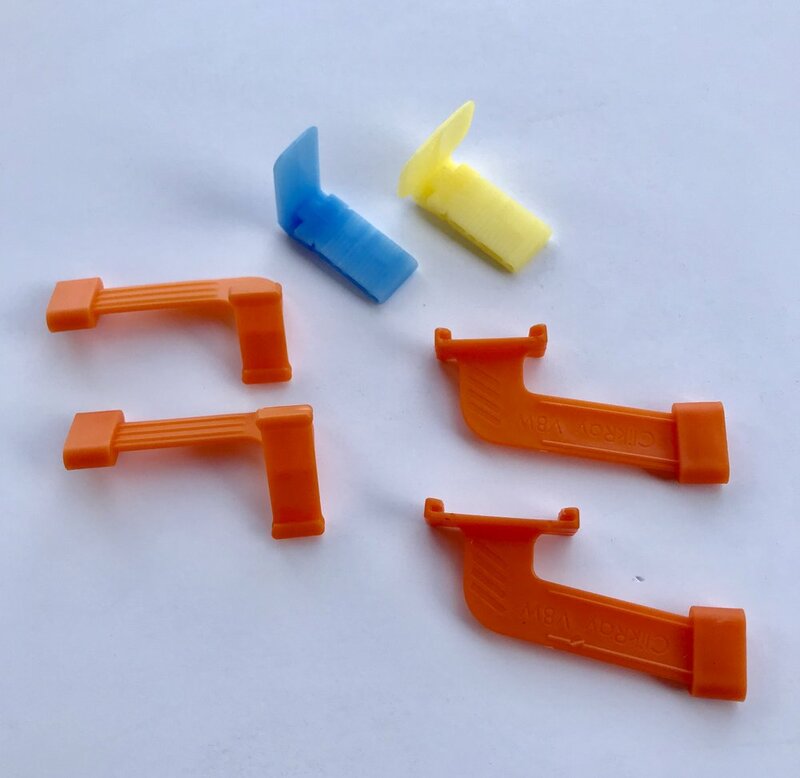 Precise Fit holders are available in size 2 blue holders and size 1 yellow holders. ClikRay™ universal bite blocks are colored according to their sizes so choosing the appropriate sized holder is easy. No more confusion! Film & PSP Bite Blocks fit all film and PSP sensors. Precise Fit holders are available in size 2 and size 1 holders. 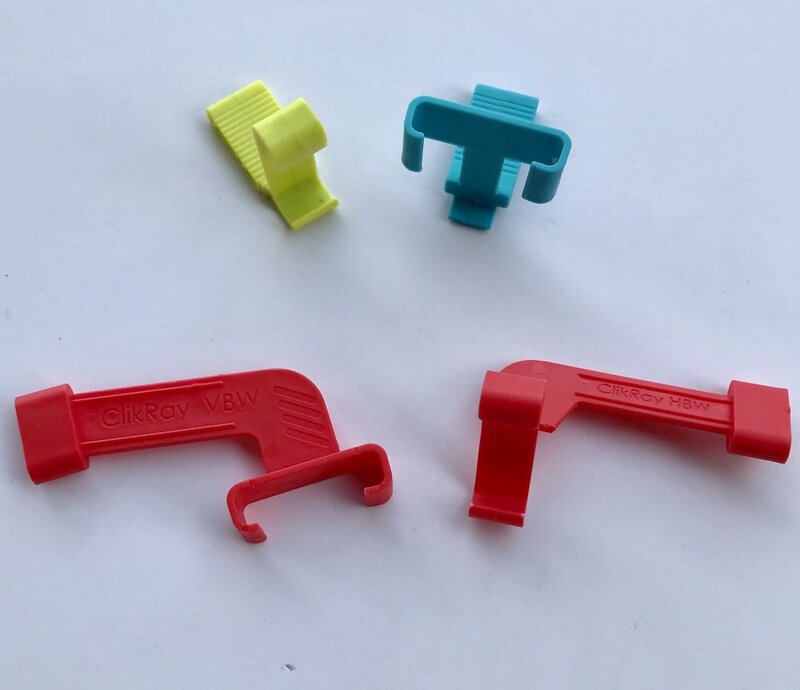 ClikRay™ universal bite blocks are colored according to their sizes so choosing the appropriate sized holder is easy. No more confusion!